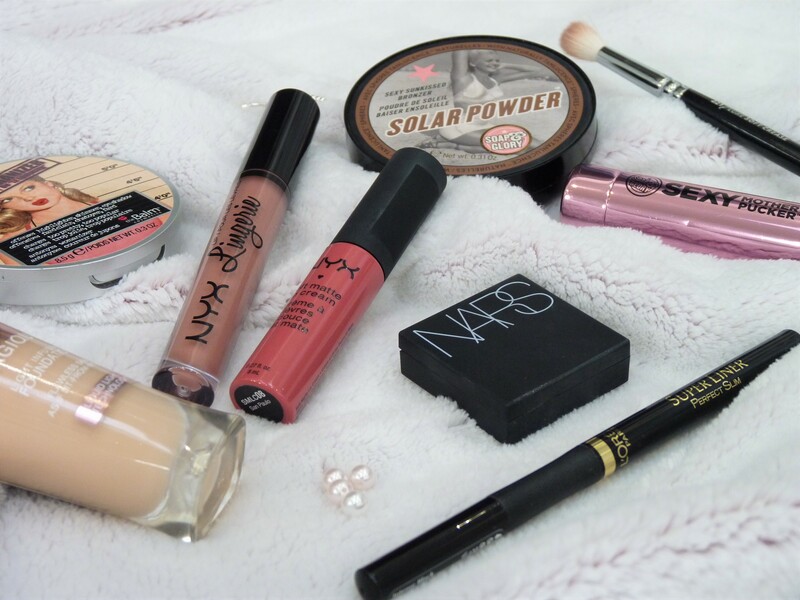 As a shy kinda gal when it comes to lips, anything sheer is right up my street. I just think ‘wash of colour’ products are so easy to throw on when you’re rushing out of the door, and they’re a dream to apply on the go because a mirror and a lip brush are definitely not essentials. I picked up several of the Max Factor Colour Intensifying Balms a couple of months ago and I thought I’d share some swatches and a full review for you all, seeing as I’ve grown to love them so very much! SO, as always with any review of mine, let’s discuss packaging and price. The packaging is okay – it’s definitely not my favourite. It has a clear plastic cap and then a gold tube, and the bullet from where the lipstick pops out is the colour of the actual product, which I do think is quite nice. Seeing as I have a few of them it saves me from scrabbling through them all to find the one I’m after! As for price, they retail for £8.99 each, and as this is an honest review I’m going to give you my true opinion – these are overpriced. As much as I love the formula, the colours, whatever, these are drugstore lip products and I do think that £9 is a bit excessive! 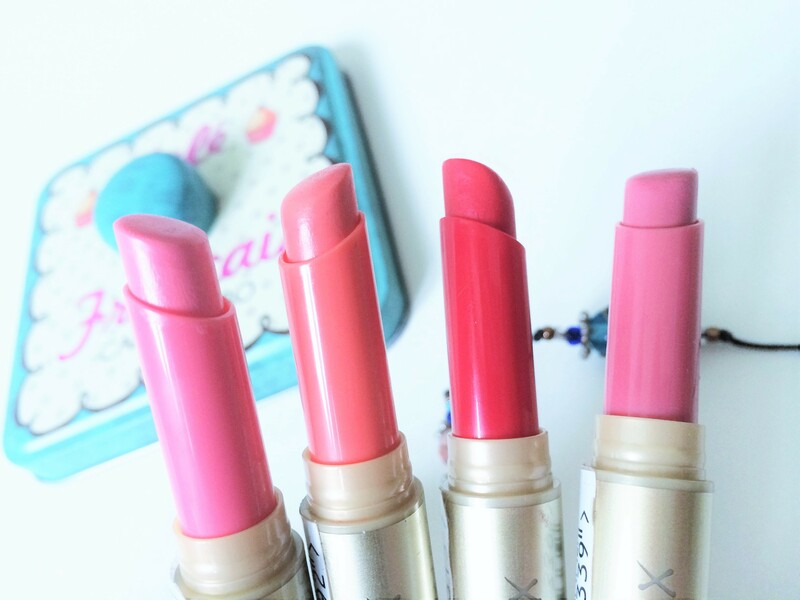 The formula is where these lipsticks really shine for me! Quite literally actually – they’re sheer and glossy and have a gorgeous sheen to them. There’s not much pigment but there’s enough to make them worthwhile wearing, if that makes any sense! You can definitely build up the colour to a good medium opaqueness, but if you’re after anything more than that I suggest going for an actual lipstick instead. SUMPTUOUS CANDY: I do love my baby pinks, and this one is no exception. It’s not too bold that it’s difficult to pull off and it’s also not too blue toned which I find can be unflattering on some skin tones (mine definitely being one of them!). LUSCIOUS RED: I love love love this one! As I mentioned, being shy with lip colours, I can never quite bring myself to pull of a classic red lipstick. 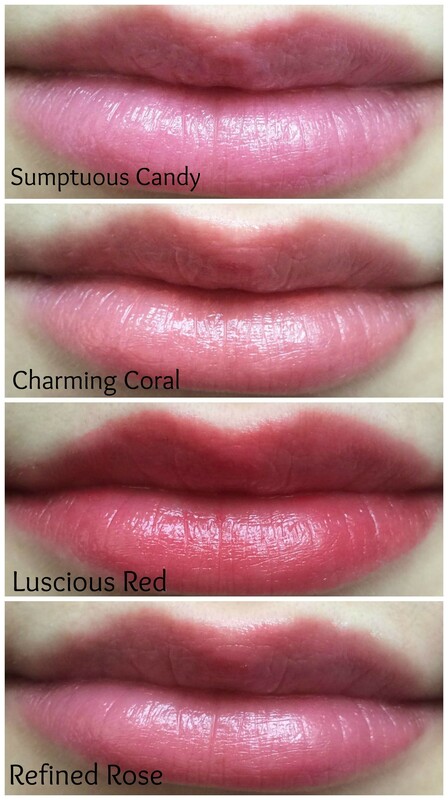 As this one’s sheer it’s just perfect to give your lips a rosy sheen, and you can build it up to a brighter red as I’ve done on the swatches above. ROSE REFINED: This is one of the popular shades from the range, and it’s probably my favourite out of all of them! It’s just one of those perfect mid-toned pinks which are really hard to find, and it’s a stunning colour that pairs beautifully with just about everything. Although they don’t last long on the lips, they’re super simple to touch up as they’re sheer and they’re moisturising too – ideal for the chilly months! Fancy owning one yourself? Check out all the deets and where I buy mine from here! 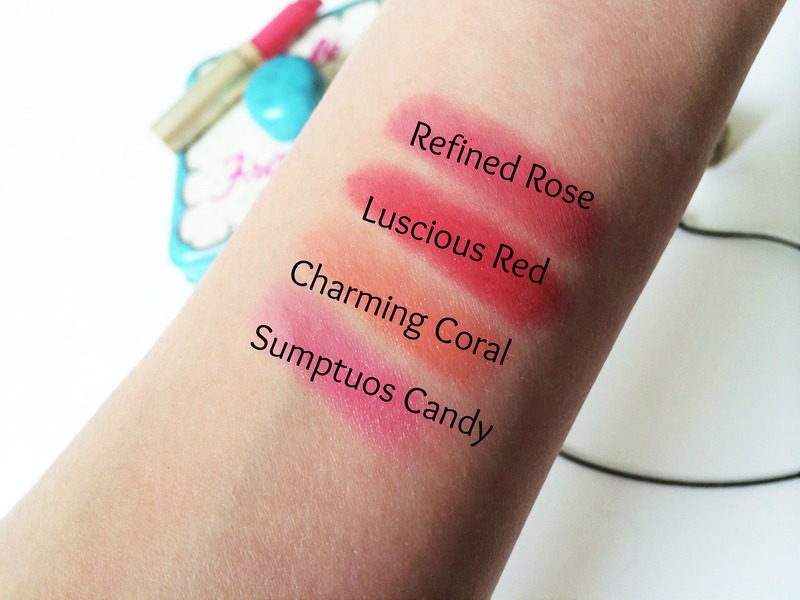 What’s your favourite sheer lipstick? Next DUPE FOR MAC PLUMFUL! The Lucious Red looks really pretty! These are all pretty shades! I also mainly like sheer shades but I’m slowly getting into darker, bolder shades.